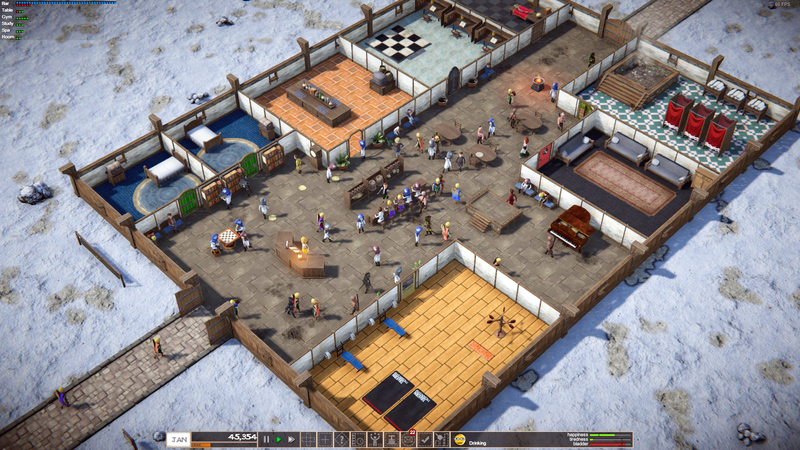 Tavern Tycoon is a tavern simulator during the Middle Ages. You will build not just a tavern where you can drink, eat and sleep. You will build a real center of entertainment and recreation, where travelers will wait for all the joys of life. The more clients you have, the more you can earn, and the higher your earnings, the more steeply you will be able to equip your tavern. Bath, gym, library — build everything that your clients can require. Your task is to attract as many people as possible. Download and install Update v1.0j, in game folder. This game has been updated 18-03-2019, 10:47 to the latest version v1.0j (upd.18.03.2019). 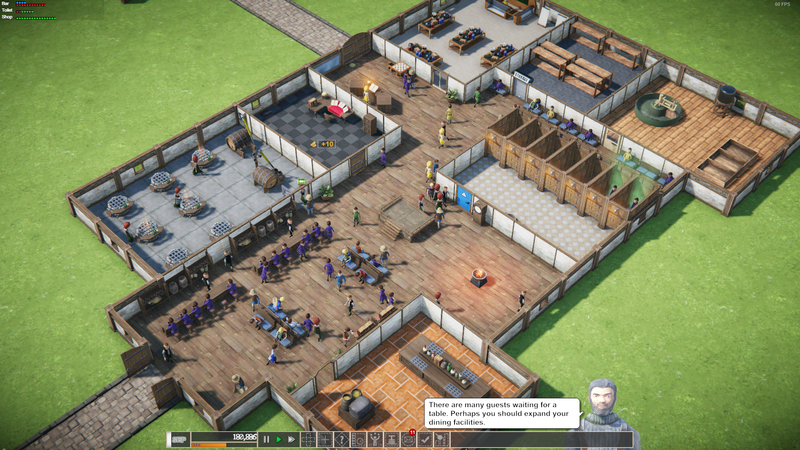 Added: Local guards (they try to enter the tavern on duty). Improved: Updated zone description tips to reflect latest gameplay. Fixed: When clerks leave express shop counter due to tiredness, guests can still buy. Fixed: AI getting stuck due to unreachable destination. Fixed: Level 10 shadow issues. Fixed: Quick message about trade offers sometimes bugging out. 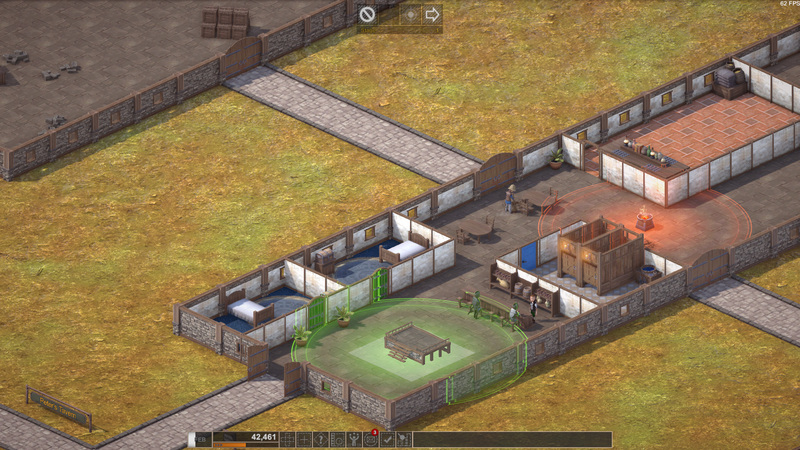 Fixed: Archery range and shared guestroom icon showing legacy icon. Fixed: Getting stuck during tutorial if the resolution was 720p. Fixed: Not able to purchase properties if the building panel was closed with right mouse button. Fixed: Endless Mode guest price being too sensitive. Fixed: Long signboard not visible in some Endless Mode Level. Fixed: Removed "&&" from guest status. Fixed: Typo in something being too expensive. Fixed: Guest showing +-100 happiness for winning a fight. Fixed: Upgraded perk icons remaining.